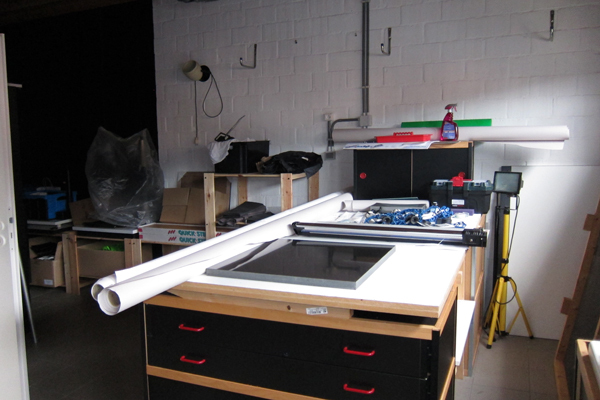 A while back I talked about setting up a public darkroom / studio / space where people could learn the rolling of a darkroom / a place where people could experiment with alternative photographic processes / a place where workshops can be given and exhibitions can be held etc. I have putted that plan on the back burner as it takes quite a bit of time & fundings etc. to manage a project like this. Seeing I haven’t particularly raised the last mentioned it would be a potential financial disaster if I would dive into that now. But Fred on the other hand has the time and the means to do so and he did! 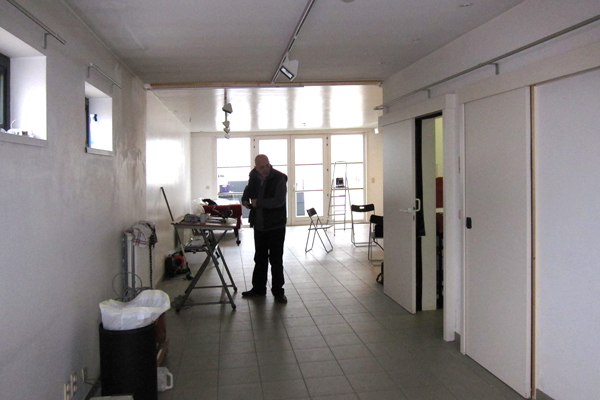 He’s currently creating this space and it will open 25th of March this year! The kick-off will be an exhibition and portrait session by Jerome de Perlinghi, a rather well-known Belgium photographer. For more information click here. 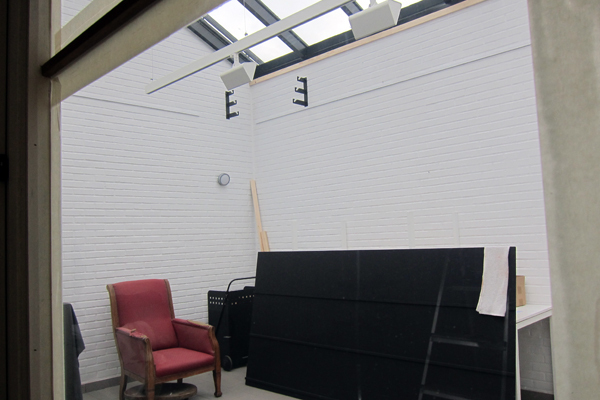 This particular building will have an exhibition space, a “public” darkroom where workshops are given, a daylight studio (!!!). 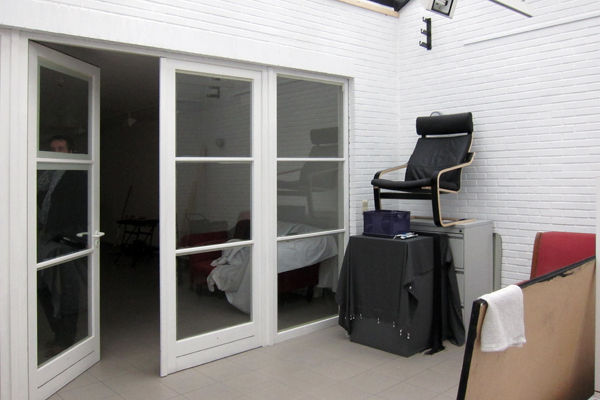 a floor higher there’s a room where matting and framing can be done and at the top floor a small studio where intimate portraits can be made. With intimate I mean a small secluded space where you can work 1-on-1 with a model to create something personal. 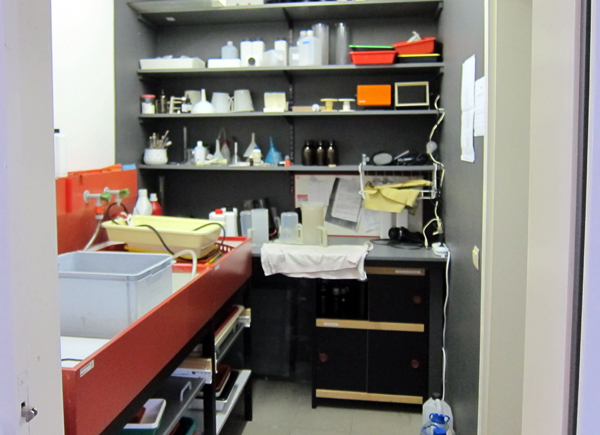 There are two darkrooms, one is somewhat for private use I believe and the second one is the public space. 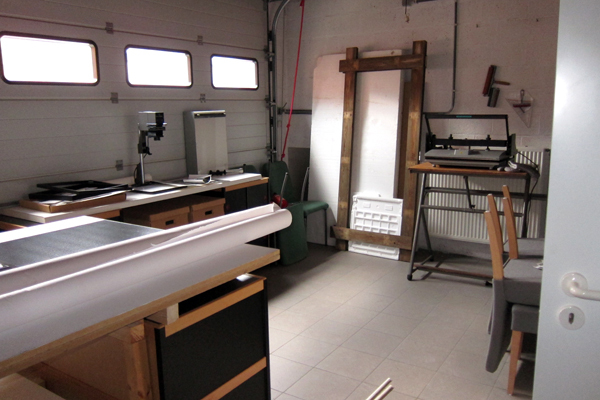 A nice large room which is big enough to host a couple of enlargers and make bigger prints. It’s all still in the making so keep that in mind when viewing my photos. I have been asked to give a workshop in Collodion photography and we’re currently working out the details of it; date, duration etc. etc. 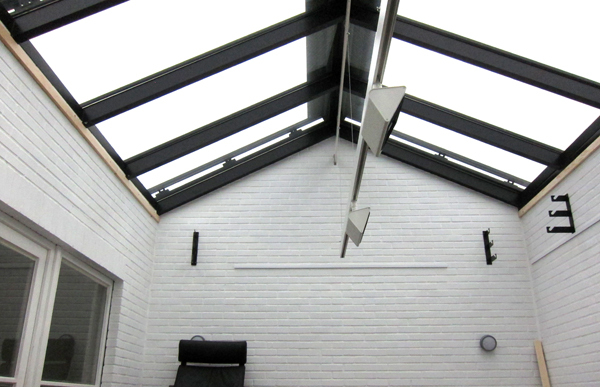 The beauty of this place is that it has a daylight studio. With collodion all you need is UV light so that’s gonna work wonders! It is the absolute PERFECT spot to set up a portrait. 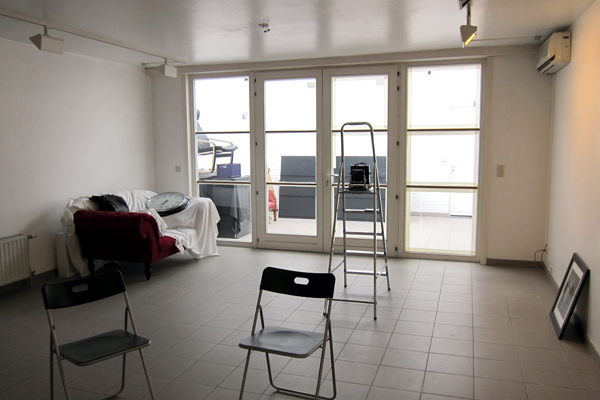 And with 2 darkrooms in close range it’s going to be an even more perfect location hosting a workshop like this. Needless to say, I am looking forward tremendously! 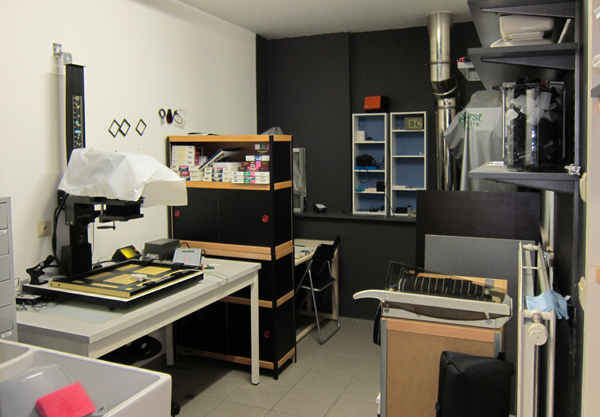 On the right of this studio is the second darkroom and on the left you’re going back towards the exhibition space. It’s a nifty place and a marvelous location for these type of events. Well, that was a short survey of the building-in-development. More will follow soon I’m sure. I’ll also post some photos from when it’s done because it’s going to be great! It’s all well thought-through over time and it’s being made with passion. How good can it get! That wraps it up for now I guess. I’ll be back sooner than later! 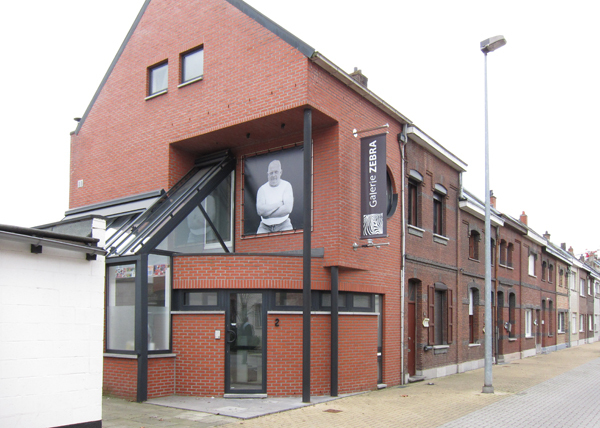 Oh, and I’ve also been asked to give a demonstration of wet plate photography at SASK St. Niklaas in Belgium. Awesome too so…..2011; bring it on!! Have a good weekend all of you (what’s left of it anyway). Opening hours: by appointment, invitation or announcement only. This entry was posted on February 6, 2011 by Contrastique. 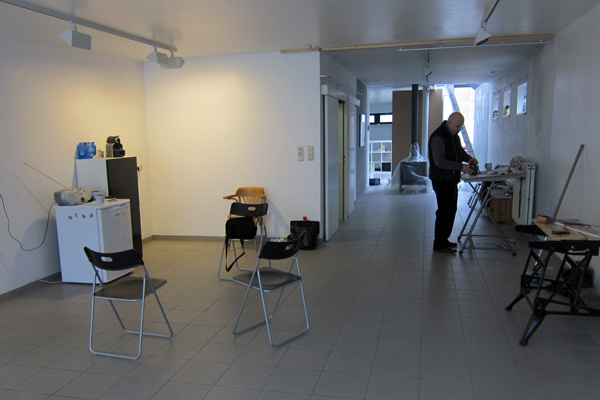 It was filed under Exhibitions & Demos and was tagged with darkroom, exhibition, Fred Bosschaert, Galerie Zebra, workshop. Hé Indra, tof van je bezoek, tof van je verslagje. Hopelijk kunnen we veel samenwerken. Tot heel binnenkort! Graag gedaan! Ik vond het een inspirerend bezoek. Zulke initiatieven kan men alleen maar toejuichen! Thank you Kal!! I am definitely looking forward to it! Will you be at the next Picto meet btw? ?